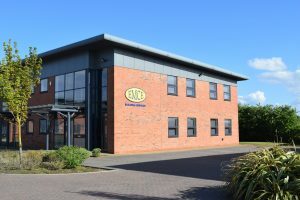 Here at EMCE we believe in investing in the local economy and providing young people with the chance to train and develop through modern apprenticeships. We work closely with organisations such as The Ryedale College and The Scarborough TEC to provide entry level apprenticeships in both electrical and mechanical installation. 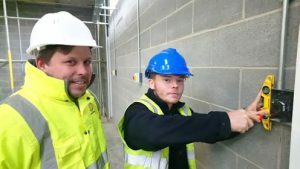 We currently have two plumbing apprentices who are set to finish their studies this year with a further two new electrical apprentices who started earlier this year. By engaging in apprenticeship schemes we are able to help mould and shape our employees into fully qualified and above all competent installers. If you are interested in becoming an apprentice; give our office a call and we will be able to advise when we are next recruiting. We recently featured in an advertising piece for the Scarborough TEC’s apprenticeship scheme. 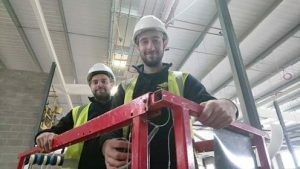 The piece detailed how apprentices new and old were helping to build the colleges new Construction and Engineering Building which will provide a training facility for new apprentices for years to come. 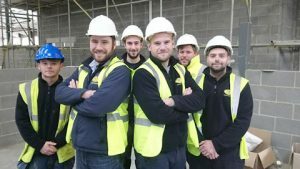 Featured were apprentices working on the site as well as members of the management team who had all trained at Scarborough TEC.